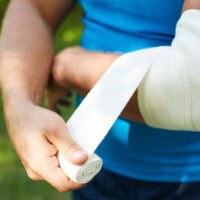 Can I Collect Compensation for an Injury Sustained While Trespassing? Property owners are generally required to ensure that their property is safe for invited guests, although the level of care that they must take to make their premises safe depends on the visitor’s status. For instance, business owners have the highest duty of care to their visitors and must take steps to keep the premises in a reasonably safe condition and provide warnings of any hidden dangers. Trespassers, on the other hand, have very little protection under the law if they sustain an injury on a third party’s property. However, there are a few exceptions to this general rule, under which someone who was injured while trespassing could collect compensation from the property owner for his or her losses, so if you were injured on another person’s property and have questions about filing your own claim for damages, it is crucial to consult with an experienced premises liability attorney who can evaluate your case. Property owners owe differing levels of responsibility toward those who come onto their property. For example, those who are invited onto the property for business purposes are owed the highest duty of care, followed closely by visitors invited for personal reasons. On the other hand, property owners have little responsibility for the safety of those who are not expected or explicitly welcomed onto their property. For this reason, trespassers are rarely allowed to collect compensation from property owners for injuries they sustain on their land. However, this does not mean that property owners are never responsible for the injuries of trespassers, as there are a few major exceptions to the general rule absolving them of liability. In Florida, property owners who have what are referred to as “attractive nuisances” on their property can still be held liable for injuries sustained by a young child who entered their property without permission. What is considered an attractive nuisance varies depending on the circumstances of the case, but courts have generally found that swimming pools, construction sites, and even refrigerators, deep freeze lockers, washers and dryers, and similar airtight units if they are abandoned or discarded, qualify as attractive nuisances and so open the property owner up to liability. In these situations, property owners have a duty to erect a barrier or otherwise make the danger inaccessible to potential child trespassers. There was a known danger on the property in question and the landowner knew that trespassers could or did regularly enter the property, but still failed to use even a minimal amount of care to provide warnings. Even in these situations, an injured party will be barred from collecting compensation for injuries sustained on someone else’s property if he or she does not file a claim within four years of the date of the accident. Please call Boone & Davis at 954-566-9919 and a member of our team will help you schedule a free evaluation with one of our experienced Fort Lauderdale premises liability lawyers.